The Mechanism for International Criminal Tribunals (Mechanism or MICT), formally referred to as the International Residual Mechanism for Criminal Tribunals, is mandated to perform a number of essential functions previously carried out by the International Criminal Tribunal for Rwanda (ICTR) and the International Criminal Tribunal for the former Yugoslavia (ICTY). In carrying out its multiple functions the Mechanism maintains the legacies of these two pioneering ad hoc international criminal courts and strives to reflect best practices in the field of international criminal justice. The International Court of Justice (ICJ) is the principal judicial organ of the United Nations (UN). It was established in June 1945 by the Charter of the United Nations and began work in April 1946. The seat of the Court is at the Peace Palace in The Hague. Of the six principal organs of the United Nations, it is the only one not located in New York. Pending and contentious cases and advisory opinions. Includes the Charter of the United Nations, Statute of the Court, Rules of Court, Practice Directions, and Other Texts. "The International Criminal Court (ICC), governed by the Rome Statute, is the first permanent, treaty based, international criminal court established to help end impunity for the perpetrators of the most serious crimes of concern to the international community." "On July 17, 1998, 120 States adopted the Rome Statute, the legal basis for establishing the permanent International Criminal Court. The Rome Statute entered into force on July 1, 2002 after ratification by 60 countries." The ICC has jurisdiction with respect to the crimes of genocide, crimes against humanity and war crimes. It was established by the Rome Statute, which entered into force July 1, 2002. The core legal texts are the seven documents that together form the basis of the Court’s legal framework: the Rome Statute of the International Criminal Court (Statute), the Rules of Procedure and Evidence, the Elements of Crimes, the Regulations of the Court, the Regulations of the Registry, the Regulations of the Office of the Prosecutor and the Code of Professional Conduct for counsel. The most important of these, and first to be adopted and enter into force, was the Statute, following which the remaining six texts entered into force at various points during the Court’s history. All can be amended according to their own particular amendment procedure. The Special Tribunal does not have its own website; the Judicial System Monitoring Program was established to archive the tribunal's efforts. However, the JSMP website is no longer available. The Global Policy Forum includes key documents. From the U.C. Berkeley War Crimes Center. "The Khmer Rouge regime took power on 17 April 1975 and was overthrown on 7 January 1979. Perhaps up to three million people perished during this period of 3 years, 8 months and 20 days. The end of Khmer Rouge period was followed by a civil war. That war finally ended in 1998, when the Khmer Rouge political and military structures were dismantled. In 2001 the Cambodian National Assembly passed a law to create a court to try serious crimes committed during the Khmer Rouge regime 1975-1979. This court is called the Extraordinary Chambers in the Courts of Cambodia for the Prosecution of Crimes Committed during the Period of Democratic Kampuchea Extraordinary Chambers or ECCC). This special new court was created by the government and the UN but it will be independent of them. It is a Cambodian court with international participation that will apply international standards. It will provide a new role model for court operations in Cambodia." Legacy website. Since the ICTR’s closure on 31 December 2015, the UN Mechanism for International Criminal Tribunals maintains this website as part of its mission to preserve and promote the legacy of the UN International Criminal Tribunals. ICTY was a United Nations court of law dealing with war crimes that took place during the conflicts in the Balkans in the 1990’s. Since its establishment in 1993, it has irreversibly changed the landscape of international humanitarian law and provided victims an opportunity to voice the horrors they witnessed and experienced. ICTY closed its doors at the end of 2017. These documents are for information only and are not to be considered as ICTY official records. The Yale Avalon Project compiles documents relevant to the International Military Tribunal for Germany. Indictment of Hermann Goering et al. "The U.S.-appointed Iraqi Governing Council approved a statue [HRCR] establishing the Iraqi Special Tribunal for Crimes Against Humanity on December 10, 2003. L. Paul Bremer, the top U.S. administrator in Iraq, signed the statute into law on behalf of the Coalition Provisional Authority." "The Coalition Provisional Authority and the Iraqi Governing Council were replaced by the Iraqi Interim Government on June 28, 2004. Following the Iraqi Transitional National Assembly election on January 30, 2005, the Iraqi Transitional Government was established on May 3, 2005. On August 11, 2005, the Iraqi Transitional National Assembly adopted a new Statute of the Iraqi Special Tribunal, which changed its name to "Higher Criminal Court" and brought its practices more into line with the rest of the Iraqi judicial system." "The Iraqi Special Tribunal is designed to prosecute those accused of crimes against humanity, war crimes and genocide in Iraq between July 17, 1968, when Saddam Hussein's Ba'ath Party seized power, and May 1, 2003, when President Bush declared that major combat operations in Iraq were over. The court also has the authority to try several lesser crimes, including the squandering of public funds and attempts to manipulate the judiciary." 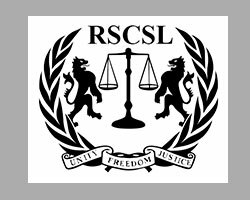 Many of the documents which comprise the public archives of the Special Court for Sierra Leone (SCSL) and the Residual Court for Sierra Leone (RSCSL) are available on this website, and in the Court Records database linked to this site. The Special Tribunal for Lebanon is a tribunal of international character. The STL was inaugurated on 1 March 2009. Its primary mandate is to hold trials for the people accused of carrying out the attack of 14 February 2005 which killed 22 people, including the former prime minister of Lebanon, Rafik Hariri, and injured many others. The STL has jurisdiction over persons responsible for the attack of 14 February 2005 resulting in the death of former Lebanese Prime Minister Rafik Hariri and in the death or injury of many others. It also has jurisdiction over persons responsible for attacks in Lebanon between 1 October 2004 and 12 December 2005, or any later date decided by Lebanon and the United Nations with the consent of the UN Security Council, determined to be connected to the 14 February 2005 attack.